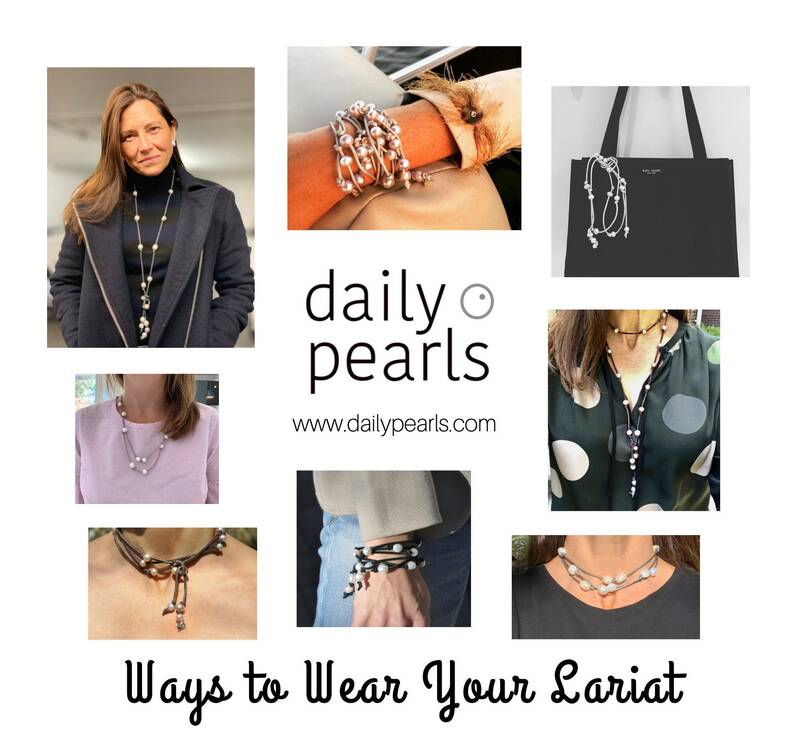 This freshwater baroque pearl and deerskin lariat can be worn as a necklace or bracelet, or even as a belt or bag charm. As a necklace, it can be worn long and looped. It can be worn be worn chest-length, either as a choker with a long dangle, or as a double loop. 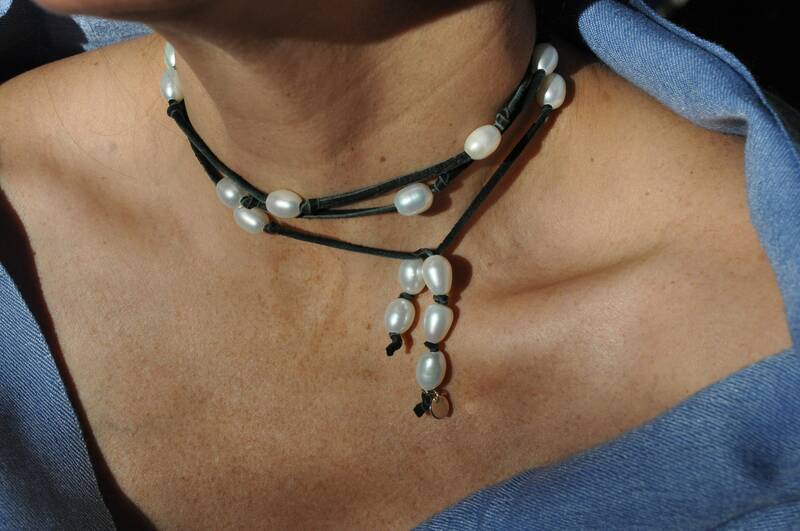 It can also be worn as a choker, tied in the front or the back. To wear it as a bracelet, simple twist the ends around one of the stands. The black deerskin drapes beautifully, but knots easily. Because of this, it's best for someone who wants to wear this lariat as a necklace. If you're envisioning more wear as a bracelet, suede would be a more practical option. 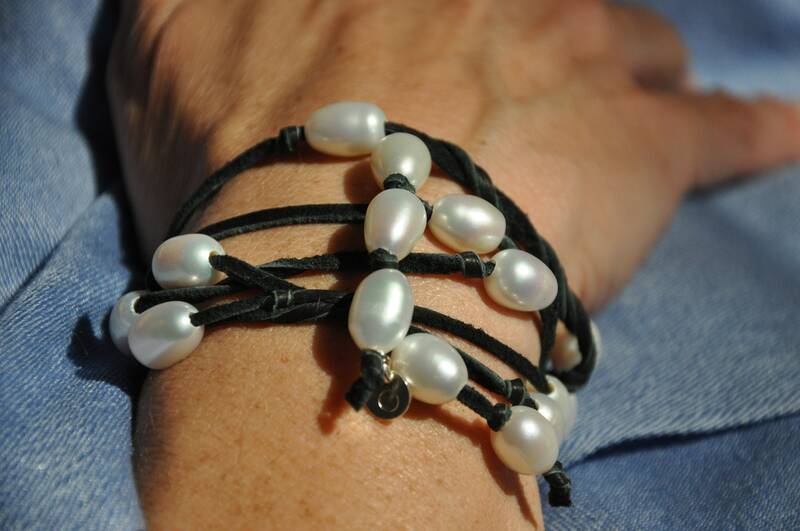 If you'd prefer these pearls with black suede, please make a note on the order page, and that is what you'll receive.